On June 19, 2012, friends, family and employees gathered at WellOne’s Pascoag offices for the George Achorn Patient Care Suite Dedication Ceremony. 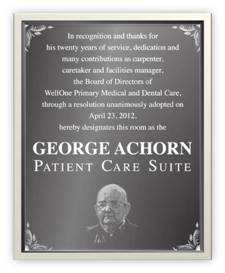 The event was held to recognize the late George Achorn who served as WellOne’s Facilities Manager from 1992 until 2012. 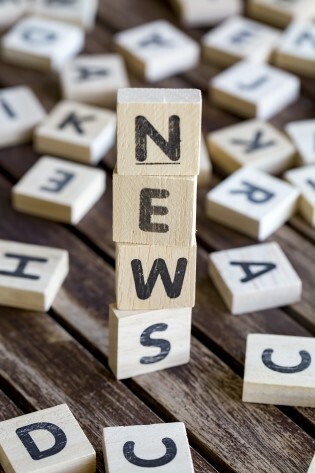 The proceedings included a multimedia presentation highlighting George’s service and many accomplishments at WellOne; reflections offered by Peter Bancroft, WellOne President and CEO; and the unveiling of a plaque in George’s honor. George’s wife, Avis and his son, George Junior, unveiled the plaque at the event’s conclusion.